‘Music Business’ is the highly anticipated single release from UK based Nigerian artists - Mr Jayvic and Komo. Both Jayvic and Komo have a string of catchy singles to their name already, and now team up to create this dance fused track. 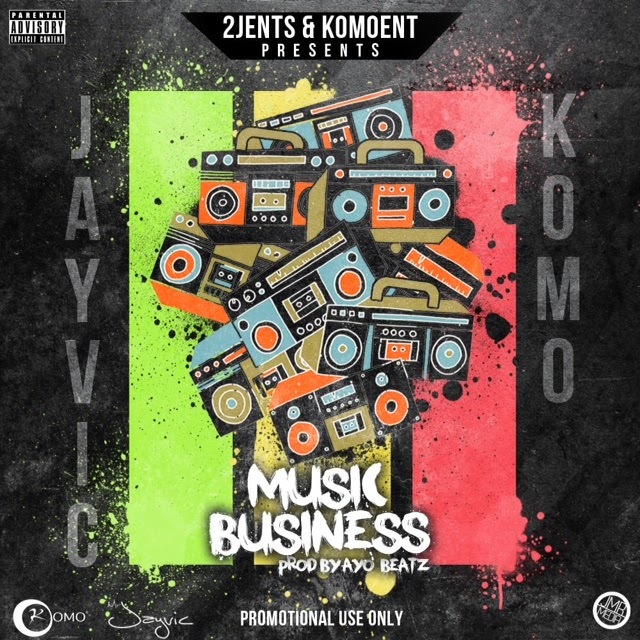 ‘Music Business’ sees both Jayvic and Komo sing and rap on the Ayo Beatz produced track which is equipped with a flawless blend of Afrobeat and Hip-Hop. Whilst we await the viral video to ‘Music Business’, it's good to see two UK Afrobeat artists come together to create a party track that'll automatically put the listener in a good mood.